We have to reiterate that. Although the internet has given the world access to some pretty awesome tools for DIY graphic design or logo design, nothing van compare to original work. The websites in this article are great for personal use. However, you would be cheating yourself if you use a template based service to design for your business. Why? Since these websites are template based, chances are someone, somewhere out there has created the same thing using those templates. If you want your brand to be unique, and your logo memorable, then go with a pro. It is worth the investment. Now that we got that out of the way, we can continue on and check out some easy to use graphic design tools on the web. We scoured the net to bring you this top ten list. We specifically chose online graphic design tools that were free, and were easy to use. We also tried to focus on sites and software that specialized in logo design. All of these tools are easy to use, and don’t require previous design experience. 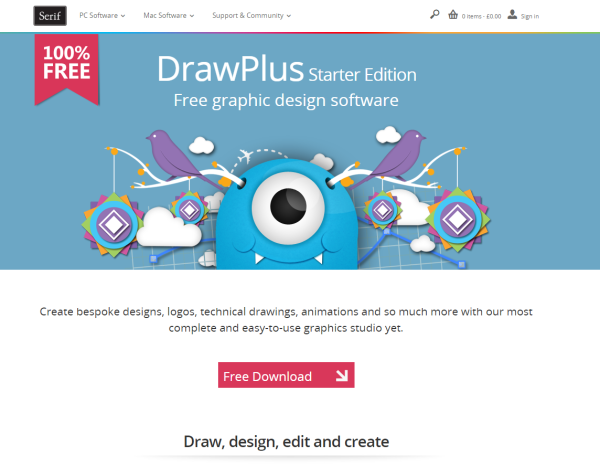 These free online graphic design tools are mostly drag-and-drop, so they are simple to use! 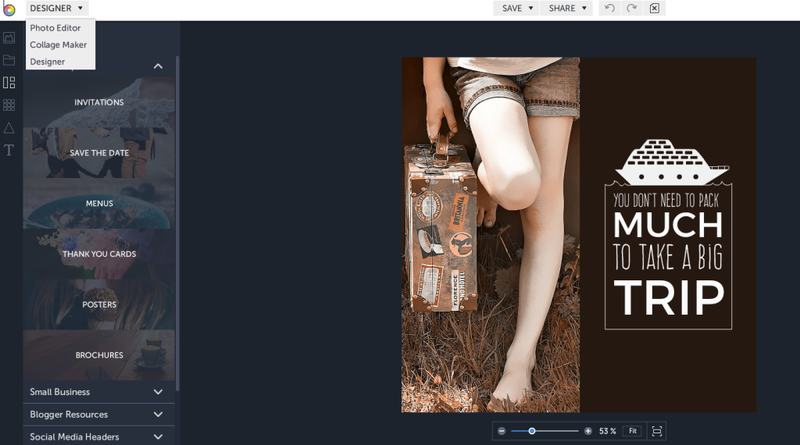 Canva is basically a service for making collages, if you really want to break it down. 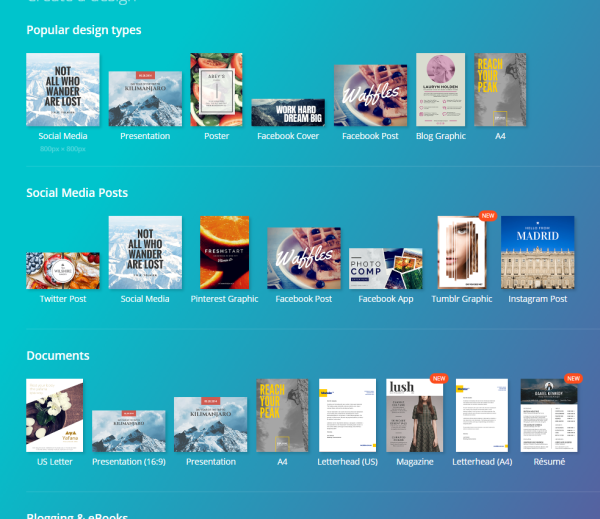 Canva uses a drag-and-drop approach, and has hundreds of design elements and templates from! You select a type of graphic, (or enter your own dimensions) and add elements from canva, or import your own! It gives you a lot of options to customize and the output is either a PNG or PDF. Not a lot of advertising like some other sites, and all of the tools are straightforward. Free, but you can purchase “premium” design elements. This free online designer is becoming more and more popular. To be quite honest, it doesn’t seem to be any different from Canva except for the fact that it has an extensive portfolio of logo design templates. I also really like how easy it is to search through the site for specific images or elements. (Unlike Canva which can sometimes take forever to find what you’re looking) I think the tools on this site are a little less obvious than on canva. Nagivation through the site is kind of confusing. This software is a little bit more advanced to use, but not by much. DrawPlus Starter edition is great for making things like flat icons, logos, and clip art. You can use tools such as blend modes and layers like in photoshop, but everything is very straight forward and easy to use. Their website offers some great video tutorials that explain the software very well. It is surprising how many features are jam-packed into this free software. Create stunning vector graphic designs by YouiDraw. It’s like Adobe Illustrator but it works on the cloud. So there’s no software to download, install, or config, and you can access your work anywhere. 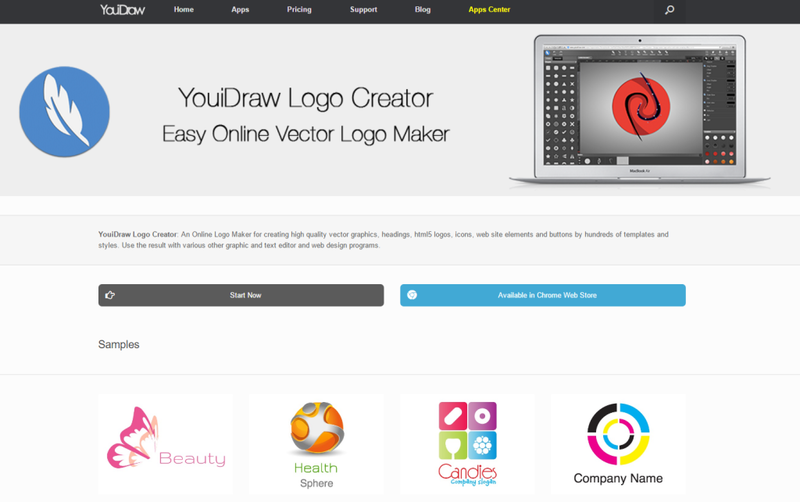 We specifically want to mention their template based, drag and drop logo creator. They have a ton of different logo graphics which you can search by category. It is all drag-and-drop so it couldn’t be easier. You can also get it on the chrome store, which is very convenient! No sign up, no download, no purchase necessary. Another drag and drop, template based free online graphic design tool. They have an extensive collection of templates. You can browse through their library by industry. Once you finish your logo, you download it, and they send you a nice vector to keep. They do offer additional services for a price, but we didn’t look into any. There are a ton of resources out there, but we stick by our statement that there truly is no substitute for custom made, professionally completed graphic design. These are great for personal websites, or events; however – the fact that they are template based makes them too generic to utilize in a professional capacity. Just our 2 cents. Perfection, one pixel at a time. We’re a web agency with a passion. We’re a creative web agency specializing in web design, brand identity, and online marketing. We're Located in Los Angeles, CA. © Copyright 2015, Pixel Solutions Inc. All rights reserved. free online graphic design.